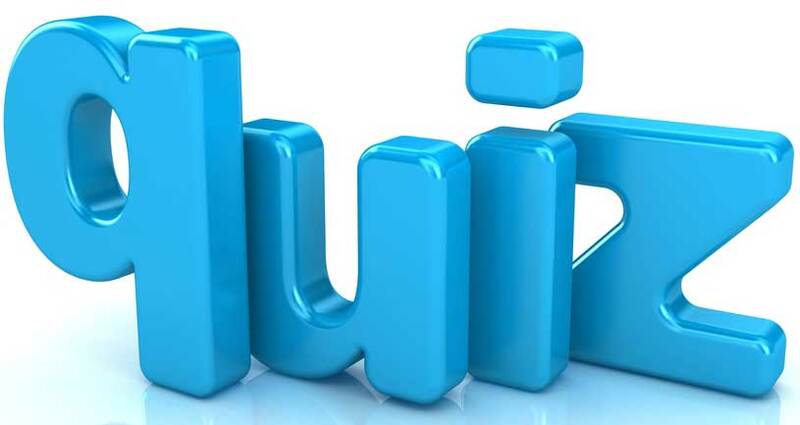 Welcome to final fasab quiz for June 2015. Half the year almost gone, but not before you get the chance to try out these questions. As usual, if you get stuck, you can find the answers waaaaaaaaaaaaaaaaaaaaaaaaaaaaay down below, but please NO cheating. Q. 1. What was bought by the United States from France in 1803? Q. 2. ‘Black’, ‘Hooper’ and ‘Bewick’ are all types of what bird? Q. 3. What city in South America is known as ‘The City Of The Kings’ ? Q. 4. Very recently in the news for all the wrong reasons, what organization do the letters ‘FIFA’ represent? Q. 5. Who was the leader of the Soviet Union from the mid-1920s until his death in 1953? Q. 6. What did Wilhelm Conrad Röntgen discover by accident on November 8 1895? Q. 7. He was born in Illinois and died in Idaho and during his lifetime he published seven novels, six short story collections, and two non-fiction works, and was awarded a Pulitzer Prize and the Nobel Prize for Literature. Many of his works are considered classics of American literature. Who was he? Q. 8. What name is given to calfskin, dressed and prepared for writing on? Q. 9. Which sea is sometimes called the Euxine Sea? Q. 10. What is the name given to the person who is appointed the chief lawyer of the U.S. government? Q. 11. Name the famous Russian ballet dancer who changed the face of modern ballet? Q. 12. Who invented the rabies vaccination? Q. 13. Who is the current (2015) British Prime Minister? Q. 15. What fruit is ‘Calvados’ distilled from? Q. 16. What is ‘Scooby’ short for in the name ‘Scooby Doo’ ? Q. 17. What does ‘RADAR’ stand for? Q. 18. In which French city was Joan of Arc put to death? Q. 20. He was famous as ‘Dracula’, ‘Scaramanga’ and ‘Saruman’. Who was he? A. 1. The Louisiana territory (828,000 square miles). A. 4. The Fédération Internationale de Football Association, the international governing body of association football, futsal and beach soccer. A. 8. It is known as ‘Vellum’. A. 9. The Black Sea. A. 10. He/she is known as the ‘Attorney General’. A. 14. There are 9 countries that lie between Canada and Colombia – they are The United States, Mexico, Belize, Guatemala, El Salvador, Honduras, Nicaragua, Costa Rica and Panama. A. 17. ‘RADAR’ stand for ‘Radio Detection and Ranging’. A. 20. He was the wonderful actor Sir Christopher Lee. A Mish Mash Quiz Today. Welcome to today’s quiz on the fasab blog. Another challenging selection of questions for you. And if you get stuck you can find the answers waaaaaaaaaaaaaaaaaaaaaaaaaaaaay down below, but please NO cheating. Q. 1. M*A*S*H was a famous book, movie and TV series, but what do the letters M A S H stand for? Q. 2. Wind transports approximately how many millions of tonnes of dust from the Sahara to the Amazon every year? Q. 4. ‘Ring of Bright Water’ is a book about which creatures? Q. 5. This one is the name of a rich fruit cake decorated with almonds, a town in Scotland, and the last name of a comic Australian movie character. What is it? Q. 7. A multi-point question. What currencies are used in the following countries? Q. 8. What percentage of internet users quit waiting for a video to load after 10 seconds? Q. 10. In 1929, US Army Air Corps Lieutenant General John MacCready asked Bausch & Lomb, a New York-based medical equipment manufacturer, to create aviation sunglasses that would ban the sun rays and reduce the headaches and nausea experienced by his pilots. What name were they given? Q. 11. “The devil on two sticks” is a former name for which juggling-like game? Q. 13. What is the painting, ‘La Gioconda’, more usually known as? Q. 14. What is the name of the traditional Irish potato and cabbage dish? Q. 15. What is the name of John Lennon’s widow? Q. 16. With whom is the fictional character ‘Alfred Pennyworth’ associated? Q. 17. Who is the largest American retailer of lingerie? Q. 18. In the Bible what are the names of the first and last books of the New Testament? Q. 19. What was the name of the flamboyant and controversial Australian actor who starred in many movies during the 1930s, 1940s and 1950s and played characters like ‘Robin Hood’ and ‘George Custer’? Q. 20. What was the name of the group that Paul McCartney went on to form in 1970 after The Beatles split up? Q. 1. M*A*S*H was a famous book, movie and TV series, but what do the latters M A S H stand for? A. 1. Mobile Army Surgical Hospital. A. 2. The correct answer is b) 40 million tonnes. A. 3. It’s Oslo, Norway. (Apparently because the city was referred to as ‘Tigerstaden’ (the City of Tigers) by the author Bjørnstjerne Bjørnson around 1870, due to his perception of the city as a cold and dangerous place. A. 5. It is ‘Dundee’. A. 8. The correct answer is e) 50%. A. 9. They were Dorothy Zbornak (played by Bea Arthur); Rose Nylund (played by Betty White); Blanche Devereaux (played by Rue McClanahan); and Sophia Petrillo (played by Estelle Getty). A. 10. They were called Ray Ban. A. 13. The Mona Lisa. A. 16. He is butler to Bruce Wayne, aka Batman. A. 18. They are the book of Matthew and the book of Revelation. A. 19. He was Errol Flynn. A. 20. It was called ‘Wings’, have a taste…. Hope You Know A Couple Of Fast Birds – It’s Quiz Time! Yes, today’s quiz questions include a couple about fast birds. That and a lot more to test your knowledge. But don’t worry, if you get stuck you can find the answers waaaaaaaaaaaaaaaaaaaaaaaaaay down below, however NO cheating please! Q. 1. What proportion of the items kept at the British Museum are actually on display? Q. 3. In what modern country was the Aztec empire based? Q. 4. What is the only animal with four knees? Q. 5. What town in Manitoba, Canada, and named after perhaps the most famous English politician of all time, is known as the “Polar Bear Capital of the World”? Q. 6. What word to describe a large group of islands that are located close together? Q. 7. Robert Southey wrote what famous children’s story in 1834? Q. 9. What is the fastest running bird in the world? Q. 10. What does the acronym ‘UNICEF’ stand for? Q. 12. What was the middle name of the founder of the store chain J C Penney? Q. 13. By ferry, approximately how long will it take you to reach Africa from Spain? Q. 14. What nationality is the toy company ‘Lego’ ? Q. 15. What was the first sport to be pictured on the cover of Sports Illustrated? Q. 16. What is the world’s largest retail chain store? Q. 17. In what country is the prime minister known by the name ‘Taoiseach’ ? Q. 19. What woman holds the all-time world record for the 100 meter dash? Q. 20. How many ways did Paul Simon say there were to leave your lover? A. 1. The correct answer is a) 1%. A. 2. It was called the Cray-1 (you get the point if you said ‘Cray’), and was installed at Los Alamos National Laboratory in the United States in 1976 at a cost of $8.8 million. A. 5. It is the town of Churchill. A. 7. “Goldilocks and the Three Bears”. A. 8. The correct answers are ‘Russia’ and it has ‘9’ time zones. A. 9. The fastest running bird is the Ostrich, which has been clocked at 97.5 kilometres per hour. A. 10. The United Nations Children’s Fund. A. 11. There are 6 countries whose names end with the letter ‘a’, Argentina, Bolivia, Colombia, French Guiana, Guyana and Venezuela. A. 12. The founder of JC Penny had the very appropriate middle name of ‘Cash’. A. 13. The correct answer is a) 30 minutes, they’re closer than you think. A. 18. The correct answers are, Captain James T Kirk in the Original Series played by William Shatner, and Jean-Luc Picard in The Next Generation played by Patrick Stewart. A. 19. Florence Griffith-Joyner, aka “Flo-Jo” by her many fans, set the all-time world record in the 100-meter dash at 10.49 seconds set in 1988. America, Asia and Australia – It’s A Global Quiz. Questions relating to most continents today so truly a global quiz. Twenty more questions to test your general knowledge. As always if you get stuck you can find the answers waaaaaaaaaaaaaaaaaaaaaaaaay down below, but please NO cheating. Q. 1. In Australia are there are more people than kangaroos or more kangaroos than people? Q. 2. In America what commemoration day was in honor of the Union and Confederate soldiers fallen in the American Civil War, and known as the Decoration Day? Q. 3. To be officially considered an astronaut by NASA you must travel how many miles above the surface of the Earth? Q. 4. In 755 AD the An Lushan rebellion in which over 30 million people died (almost a sixth of the world population) occurred in what country? Q. 5. On what part of your body would you find Rasceta? Q. 6. What is a young rabbit called? Q. 7. What is the most translated book in the world, available in 2454 languages? Q. 8. Approximately what proportion of the Earth is covered by the Pacific Ocean? Q. 9. In what year (excluding test flights) was the first Space Shuttle launched? Q. 10. In what year (excluding test flights) was the last Space Shuttle launched? Q. 11. What city is known as the ‘Pearl of the Danube’ ? Q. 12. What is measured on the Beaufort scale? Q. 13. What English naval commander reputedly refused to stop a game of bowls when an enemy fleet was sighted? Q. 14. What famous novelists works include ‘Brighton Rock’, ‘The Quiet American’, and ‘Our Man In Havana’ ? Q. 15. Which two figures are normally found in a Pietà sculpture? Q. 16. What are the three main functions in trigonometry? Q. 17. What word links a castle and court associated with the legendary King Arthur and the presidency of JFK? Q. 18. Who did Cassius Clay first defeat to win the boxing Heavyweight Championship of the World? Q. 19. What are the 12 long triangles on a backgammon board called? Q. 20. In music what band is known by the acronym ELO? A. 1. In Australia there are approximately 23.87 million people, but current Federal Government estimates puts the number of kangaroos at 50 – 60 million. A. 3. The correct answer is a) 50 miles. A. 5. The lines on the back of your wrist are called Rasceta. A. 6. A young rabbit is called a ‘kitten’ or a ‘kit’, not a bunny. A. 8. The correct answer is d) one third. A. 9. It was launched in 1981, on April 12th. A. 10. It was launched in 2011, on July 8th. A. 12. Wind speed. It’s full name is the Beaufort wind force scale, although it is a measure of wind speed and not of force in the scientific sense. A. 13. Sir Francis Drake. A. 15. The Pietà sculpture depicts the body of Jesus on the lap of his mother Mary after the Crucifixion. A. 16. They are ‘Sine’, ‘Cosine’ and ‘Tangent’, often shortened to ‘sin’, ‘cos’ and ‘tan’. A. 19. They are known as ‘Points’. A. 20. The Electric Light Orchestra. A manic Monday quiz it is indeed. 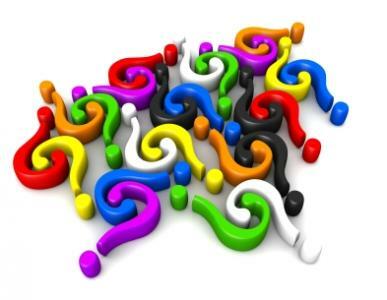 Twenty questions covering the usual wide range of subjects, so hopefully there will be one or two that you find easy and one or two that you find a lot more difficult. But remember, as always if you get stuck, you can find the answers waaaaaaaaaaaaaaaaaaaaaaaay down below, but please NO cheating! Q. 1: According to a survey conducted by Citrix, what percentage of people thought that stormy weather affects cloud computing? Q. 2: What city is known as ‘The Harbor City’ ? Q. 3: What is another name for the prairie wolf? Q. 4: If your boss cuts your salary by 10% but offers to let you work 10% more to make up for it, should you accept? Q. 6: A follow-up question to # 5, which one of these Founding Fathers once wrote a scientific piece called ‘Fart Proudly’ ? Q. 7: What percentage of the Earth’s volcanoes are underwater? Q. 8: In Greek mythology who attempted to escape from Crete by means of wings that his father constructed from feathers and wax, but flew too close to the Sun and perished when the wax melted? Q. 9: And when we’re on the subject of flying, what area code would you use if you wanted to call the Kennedy Space Center in Florida? Q. 11: This one is the name of a famous Shakespeare tragedy and a multiplayer board game based on the popular game Reversi. What is it? Q. 13: ‘Equatorial’, ‘Gulf Stream’ and ‘Humboldt’ are names give to what? Q. 14: Russians consume about 6 times as much what as Americans? Q. 15: Which paper format has the largest area, the ‘International A4’ as used for example in the UK or the ‘Letter’ format used in the United States? Q. 17: What is the link between something to eat, something to drink, somewhere to go and something to call your daughter? Q. 18: What was the name of the cat that survived the sinking of the Bismark, HMS Cossack and HMS Ark Royal? Q. 20: Who had a ‘Manic Monday’ and went on to ‘Walk Like An Egyptian’ ? A. 1: Unbelievably the correct answer is c) 51%. A. 4: You should NOT accept the offer. This is a percentage question. For example, if you made $10 per hour, a 10% cut in your salary would leave you with $9 per hour. Adding 10% back would only be 10% of $9, or 90 cents so you would end up with only $9.90. A. 5: The six men are widely accepted to be the Founding Fathers of the United States of America are George Washington, John Adams, Thomas Jefferson, James Madison, Alexander Hamilton and, of course, Benjamin Franklin. A. 6: Benjamin Franklin wrote a scientific piece called Fart Proudly. It was all about farts. A. 7: The correct answer is e) 90% of all volcanoes are underwater. A. 9: The telephone area code for the Kennedy Space Center in Florida is ‘321’ which imitates the countdown before liftoff. It was assigned to the area, instead of suburban Chicago in November 1999 after a successful petition led by local resident Robert Osband. Try it out, call the Kennedy Space Center on (321) 867-5000. A. 10: They are called ‘opposite’, ‘adjacent’ and ‘hypotenuse’. A. 12: Richard Clayderman is French and he is a pianist. A. 14: The correct answer is c) tea, Russians also consume about 6 times as much tea as Americans. A. 16: Although modern additions have been added, the seven main weight divisions used in professional boxing are ‘Flyweight’, ‘Bantamweight’, ‘Featherweight’, ‘Lightweight’, ‘Welterweight’, ‘Middleweight’ and ‘Heavyweight’. A. 18: The correct answer is c) Unsinkable Sam. A. 19: The correct answers are (a) Brazil with an area of 8,514,877 Km2, and (b) Brazil with a population of more than 195.5 million. Movies, Music And Murder In Today’s Quiz. Yes, movies, music and murder all appear in today’s quiz. Lots of other subjects too. And as usual, if you get stuck, you can find the answers waaaaaaaaaaaaaaaaaaaaaaaaaay down below, but please NO cheating! Q. 1: Who was assassinated at the theater by John Wilkes Booth? Q. 2: What is the most abundant substance found in the plant kingdom? Q. 3: What well known city in the Far East is known as ‘The Lion City’ ? Q. 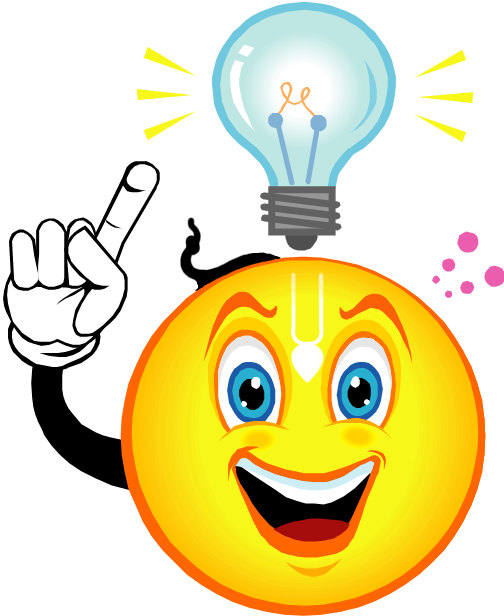 4: Who discovered the law that the volume of a given mass of gas at a constant temperature is inversely proportional to its pressure? Q. 5: What type of creature is a Pacific sea wasp? Q. 6: Which of Napoleon’s victories had a chicken dish named after it? Q. 7: In which country is the port of Fray Bentos? Q. 8: What was the name of the English galleon best known for her circumnavigation of the globe between 1577 and 1580, captained by Sir Francis Drake? Q. 9: English novelist John Meade Falkner, not to be confused with the famous American author John Faulkner, published three novels. ‘The Nebuly Coat’ was one of them, you get a point for each of the other two you can name correctly and two bonus points if you get both of them correct. Q. 10: What are the only two numbers on a dartboard to lie between two odd ones? Q. 11: What wind is a warm southerly coming from the Sahara Desert over the Mediterranean? Q. 12: What is the largest flat fish species? Q. 13: Which Washington D.C. born oscar-winning actress wrote ‘A Lotus Grows in the Mud’ ? Q. 14: Kareem Abdul-Jabbar played 20 seasons in which sport? Q. 15: What item of clothing was named after its Scottish inventor? Q. 16: On which continent would you find the world’s most ancient forest? Q. 17: Bray Studios, near Windsor in Berkshire, England was home to which famous brand of horror films? Q. 18: Which kind of flower bulbs were once exchanged as a form of currency? Q. 19: Name the three primary colors. Q. 20: What was the name of the song performed by Eton John, a revised version of which became a mega-hit after being sung live by Elton at Princess Diana’s funeral? A bonus point if you can also correctly name the sub-title given to the latter version. A. 5: It is a Jellyfish. A. 7: In the South American country Uruguay. A. 8: It was the Golden Hind or Golden Hinde. A. 9: They are ‘The Lost Stradivarius’ and ‘Moonfleet’. A. 10: 3 and 19 (there is a run of four odd numbers around the bottom – 17,3,19,7, nowhere else is there a run of more than 2 consecutive odd or even numbers). A. 16: In Australia specifically Daintree Forest, north of Cairns. A. 19: Red, yellow and blue. A. 20: It was ‘Candle in the wind’. For your bonus point the sub-title for the revised version was ‘Goodbye England’s Rose’. From Alien Invasion To Vitamins – Another Quiz Day Is Here. 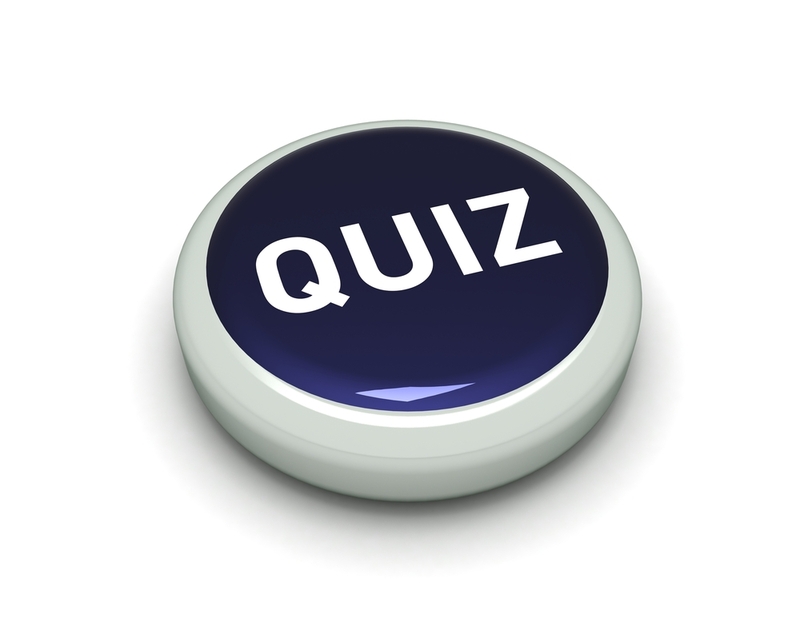 Welcome to another Quiz Day at the fasab blog. Another challenging selection of questions. But as usual, if you get stuck, you can the answers waaaaaaaaaaaaaaaaaaaaaaaaay down below, but please NO cheating! Q. 1: Who has been a private investigator in Hawaii, an American cowboy in Australia and the police commissioner in New York city? Q. 2: What do you call a group of bears? Q. 3: Which Eastern European city is known as the ‘City of a Hundred Spires’ ? Q. 4: Which country’s flag includes a cedar tree? Q. 5: In which book does an alien invasion commence in Woking? Q. 6: Which subatomic particles are found in the nucleus of an atom? Q. 7: Which sugar is found in milk? Q. 8: This one is the name of the largest species of big cat to be found in South America and a make of automobile? Q. 9: What is the name given to the part of the Earth that lies between the outer core and the crust? Q. 10: You see it on your cereal packet all the time, but Riboflavin is an alternative name for which vitamin of the B Group? Q. 11: Not part of the UK, but still known as British Crown Dependencies, the Channel Islands are situated in the English Channel just off the coast of France. You get a point for each of the four main islands in this group you can name correctly. Q. 12: Which is the world’s tallest mammal? Q. 13: ‘It was a bright cold day in April, and the clocks were striking thirteen,’ is the first line from which book? Q. 14: What is the approximate diameter of Earth? Q. 16: What is the world’s smallest flightless bird? Q. 17: In the publishing industry what does the acronym ‘POD’ mean? Q. 18: What color is a Himalayan poppy? Q. 19: What flavor is Cointreau? Q. 20: On which multi-million selling album would you find the Nasal Choir, Moribund Chorus and Girlie Chorus? A. 1: Tom Selleck. He played Magnum PI set in Hawaii, Quigley in the movie Quigley Down Under and currently Frank Reagan the NYC Police Commissioner in the TV series Blue Bloods. A. 3: Prague, the capital and largest city of the Czech Republic. A. 5: The War of the Worlds by H G Wells. A. 6: Protons and Neutrons. A. 9: It is known as the ‘Mantle’. A. 10: The correct answer is b) Vitamin B2. A. 11: The four main islands in the Channel Islands group are: Jersey, Guernsey, Alderney and Sark. A. 13: 1984 by George Orwell. A. 14: The correct answer is c) 8,000 miles. A. 15: She is Jodie Foster and in The Silence Of The Lambs she played the part of Clarice Starling. A. 17: It means ‘Print on demand’. A. 18: The correct answer is d) Blue. Q. 19: What flavour is Cointreau? A. 20: Tubular Bells by Mike Oldfield.